Being charged with a crime can be an emotional and frightening experience. A conviction can mean the difference between your incarceration and your freedom, as well as having long-term consequences on your life. Even a misdemeanor conviction can result in a hefty fine, possible jail sentence, and a permanent criminal record. You do not want to face these negative ramifications on your own. Hiring an experienced criminal defense attorney is essential to a more positive outcome—whether you are innocent or guilty. Plea agreement. If it is in your best interests, your attorney can work with the prosecutor to help you enter into a plea bargain. These agreements usually involve some of the charges against you being dismissed or your sentence being reduced. A prosecutor will often be more willing to enter into a more favorable plea agreement with an attorney than an unrepresented defendant. Sentencing program. If you are convicted of a crime or plead guilty, your attorney may know about sentencing programs that can reduce some of the negative consequences of your possible sentence. For example, you may be placed on probation rather than be sentenced to jail if you enter into a drug treatment program. Emotions. Many people who are charged with a crime experience depression, anxiety, and embarrassment. Your attorney can help you deal with these feelings and let you know that you are not alone in experiencing them. Investigation. Your attorney can investigate the evidence against you and interview witnesses for the prosecution and who could help in your defense. This can enable him to develop a strong defense strategy that could result in the charges against you being dismissed or important evidence of the prosecution being suppressed. Investigator. 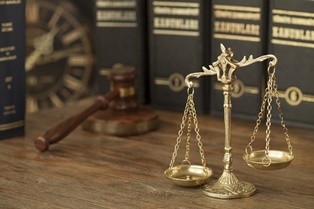 In some cases, an attorney will hire an investigator trained to investigate the facts surrounding crimes and the criminal backgrounds of the prosecutor’s witnesses. This can help your attorney to refute these witness’ credibility and poke holes in the prosecutor’s case against you. Experts. Your attorney should have a network of experts he can use depending on the specific charges you face and the evidence the prosecution could plan to use against you. For example, an expert could be used to challenge the results of a blood alcohol content test or dispute DNA evidence if that is being used to show your guilt. Often prosecutors will use experts, and you would need your own expert to refute that person’s testimony and weaken the prosecutor’s case. Law and procedures. Your attorney will know the statutes and case law decided by judges that apply to your case. In addition, he will understand the procedural rules you must follow regarding pleadings that must be filed, the time period to file them, and other unwritten rules in the jurisdiction where your case is being heard. This knowledge is critical to achieving a good outcome and not inadvertently waiving an important defense you may have. Reality check. From reviewing the evidence against you, conducting his own investigation, and his experience, your attorney will be able to provide you with a reality check of what you can realistically expect if you take your case to trial or if you accept a plea agreement. This can help you make an informed decision about the outcome of your criminal case. Hidden costs. Your attorney can explain the hidden costs of pleading guilty, such as a permanent criminal record that could affect your ability to obtain a job, which you may not understand. Without an attorney, you may be more focused on the option of a shorter sentence rather than these long-term consequences that could be reduced through an aggressive defense of the charges against you. Have you been charged with a crime? The experienced criminal defense attorneys at Greenspun Shapiro PC understand the serious ramifications for your life, no matter what criminal charges you face. We thoroughly investigate our cases and aggressively defend all of our clients to achieve the best outcome possible. Call our Fairfax law office today to schedule your free case evaluation to get your questions answered and learn how we can assist you.